If you follow our Facebook Fan Page then this is no surprise to you. But I did something crazy a couple weeks ago. And the HUGE ANNOUNCEMENT is…. 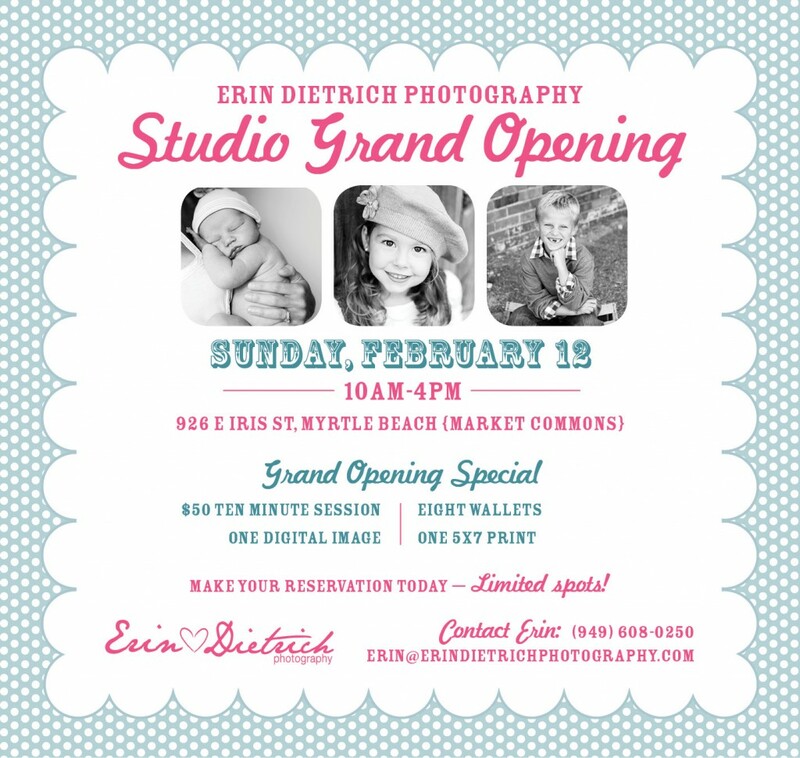 Erin Dietrich Photography will now have a studio located in Market Commons! This is truly a dream come true and I am SO excited to start this new adventure!! So here’s to a huge leap of faith! Our big Grand Opening is this Sunday, February 12th from 10:00am-4:00pm. Be sure to come stop by to see the new studio & say hello! We will have lots of yummy treats to eat, music & it’ll be a good time! We will also be offering an awesome special that day in honor of our grand opening! Email/Call to register your child.